Need something changed on your website? Can't find your "web guy"? We hear that all the time, and we're happy to help. Just get in touch! People expect a good-looking, easy-to-use website, even on phones. Everyone is on the web, and you have to compete there. We can help. Web visitors have almost no patience, so make it easy! By the way, there’s no obligation. We can just chat. Have a web presence that draws attention & works well on small devices. I have only the highest praise for the work that Mike has done. He has been extremely efficient and reliable making the changes we have requested since taking over in our “hour of need”! Every dollar is important to us, so his quick and accurate execution has kept our costs as low as possible! Very clear communicator and we set clear objectives and steps along the way and he came thru on everything he said. Good at hand-holding me thru the start-up process as well. 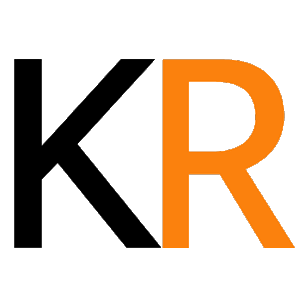 I would like to offer the most praise to Michael Kemp and Kemp Resources for the website that you designed for me and my business. My website looks beautiful and is user friendly, while it highlights the most important aspects of my company. Most recently I needed him to update it with a new theme to be more mobile friendly, and he did an excellent job in a very short time. It is always a pleasure working with Michael. He has the expertise to solve any problem and his fees are fair and reasonable. In the old days, people found you in the Yellow Pages, but the world – and your competition – is on the internet. Web technology has gotten more affordable, even putting your site in the hands of millions of smartphone owners. If you don’t have a website, you’re at a competitive disadvantage, especially if you’re in a tourist-driven area like Cape Cod. If your site is old there’s a high risk that it will not look as good as the competition, causing you to lose business unnecessarily. For an awful lot of people, your website will be their “first impression” of you. We can help with that. Drop us a line, or call. You’re out of contact with your previous developer? You’re tired of waiting for a slow developer? You don’t know how to edit or change your site? You just don’t have the time? Squarespace? Wix? GoDaddy? Weebly? No problem. “…what a quick turn around!” Dave T.
Sometimes it’s helpful just to have someone to talk to, someone who is willing to answer questions and provide information, with no “sales pitch” attached. Not sure what you should be doing to promote your business? Wish you had a better overall understanding of the possibilities for marketing your business on the internet? Want to understand more about social media, and figure out if it’s worth your time & energy? Do you want to show up higher in Google results? "Do I really need a website?" It’s not a question we get often these days, but it does come up. Do you remember the Yellow Pages phone book? Do you remember how one of the first things to do to check up on a company was to see if they had a listing? If you don’t have a website, you don’t look like a serious business; you don’t look like someone who’s going to be around for long. Also, if you are in the wonderful position of having more than enough work right now, please remember there will probably be a time when that’s not true… and when that happens, you will wish you had built an online reputation. That percentage skyrockets if you’re in a tourist area! Searches are done anytime, anywhere, on a 4 or 5 inch screen. 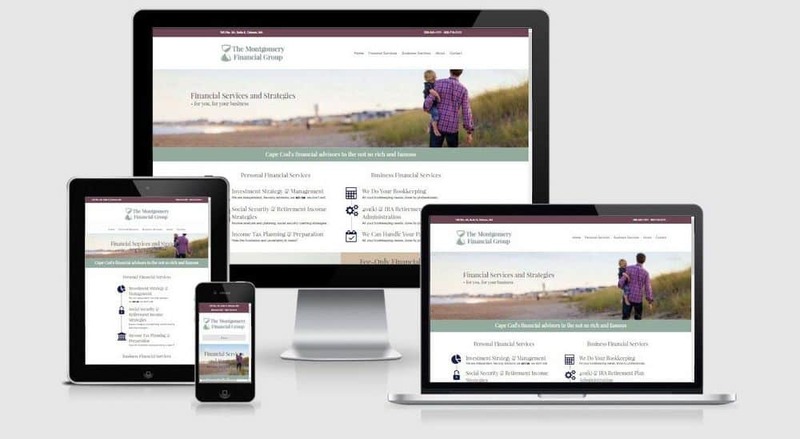 The Montgomery Financial Group, Inc. Compete online with "big box stores" and showcase all of your offerings! All at AFFORDABLE PRICES! How do we work? What do we do? We are dedicated to helping small business owners succeed. Make your life easier, make your business more visible on the web. We spend the time needed to learn about your business, including your primary and secondary markets, and the language those markets will understand. Your short, medium & long term goals. The look and feel of your site is crafted to fit the markets, your goals, and to some extent, your competition. We’ll produce an initial build and sit down to review it with you, explaining all our choices. Then, you get to decide. Most of our customers love our platform (WordPress) because it’s easy for them to update key bits of content (like price changes). Our training is individualized for each person. After your site is complete, we offer full support, too.